MTV’s “Wild ‘N Out” is known to deliver shows packed with humor and plenty of surprises – and Nick Cannon Presents: Wild ‘N Out Live! is no exception. 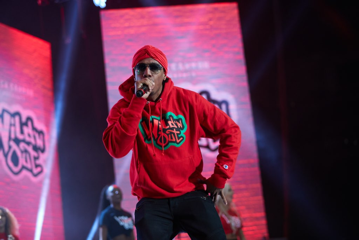 Nick Cannon and television wildest cast are blazing across the country on a 25-city tour to perform live in their fans’ hometowns. Nick Cannon, host of “Wild ‘N Out,” one of the highest rated series on MTV; Rip Micheals, DC Young Fly, Hitman Holla, Conceited, Justina Valentine, Iamzoie, Charlie Clips, Emmanuel Hudson, Chico Bean, DJ D-Wrek with grandiose performances from charting artists plus more.